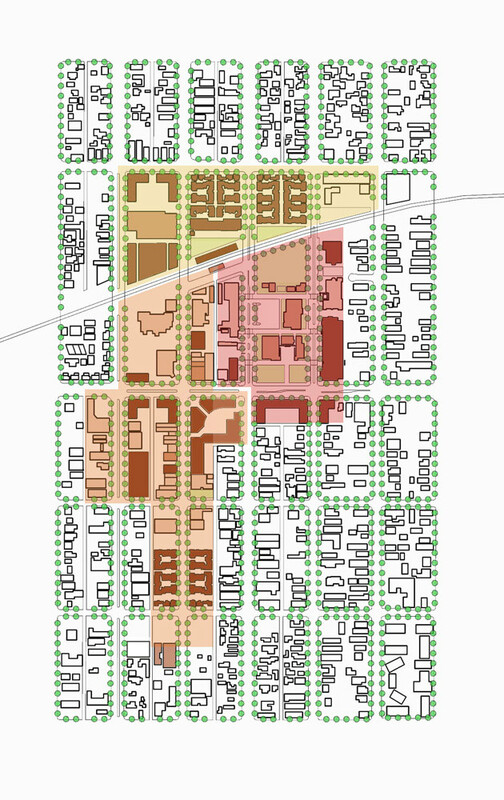 The Azusa General Plan and Development Code, adopted in 2005, transforms the City of Azusa from a typical postwar suburb of production house tracts and commercial strips into a town of distinct, compact neighborhoods surrounding a vibrant downtown. In contrast to conventional planning practices based upon use-exclusive functional zoning, Moule & Polyzoides based this Plan on a form-dependent regulatory geography of neighborhoods, districts and corridors. 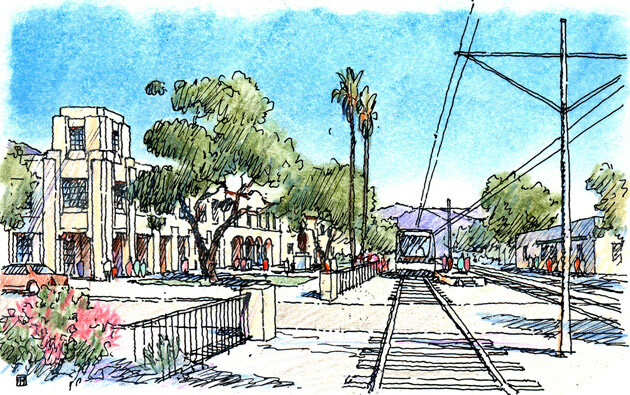 Extensive fieldwork, public participation and input from City staff established the boundaries, unique character and physical conditions of the City and, in addition, envisioned the future of each of Azusa’s existing places. The Plan and Development Code were both developed with a community-based planning process that focused on physical improvements that follow the principles of the Charter of the New Urbanism. Moule & Polyzoides’s role included serving as a design consultant to the City.